We all know everything is better with bacon, right?! 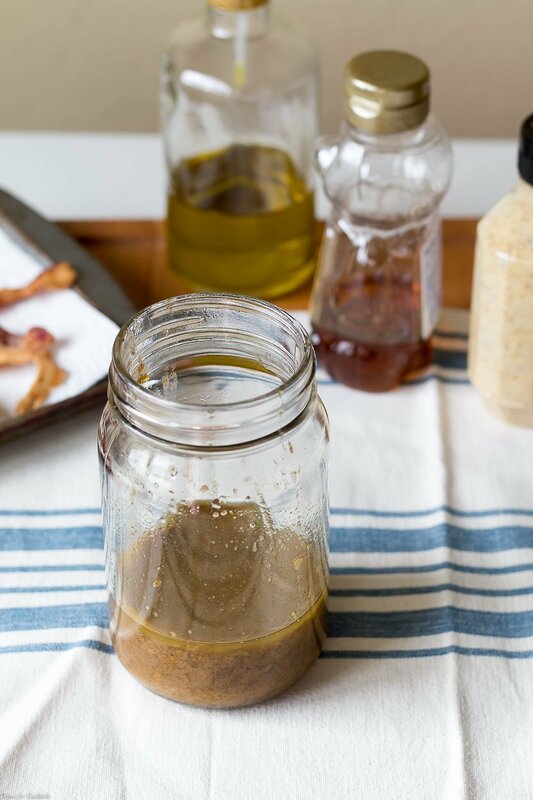 This Warm Honey Mustard Bacon Vinaigrette is so smokey and tangy just one taste will turn you into the biggest salad lover EVER! Let’s face it, sometimes the best part of a salad is the dressing. Personally I will go out of my way to eat at a restaurant just because of their dressing. In fact I used to buy a pint of the house dressing at our favorite Italian joint in Arizona to keep in the fridge at home! I may have even brought a few different kinds to Columbus with us earlier this year. 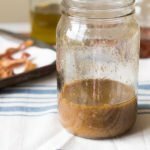 Making your own dressings and vinaigrette at home is not only easy, but also healthier for you since you can control the quality of ingredients. Unfortunately too many bottle dressings are full of sugars, sodium, and other additives. 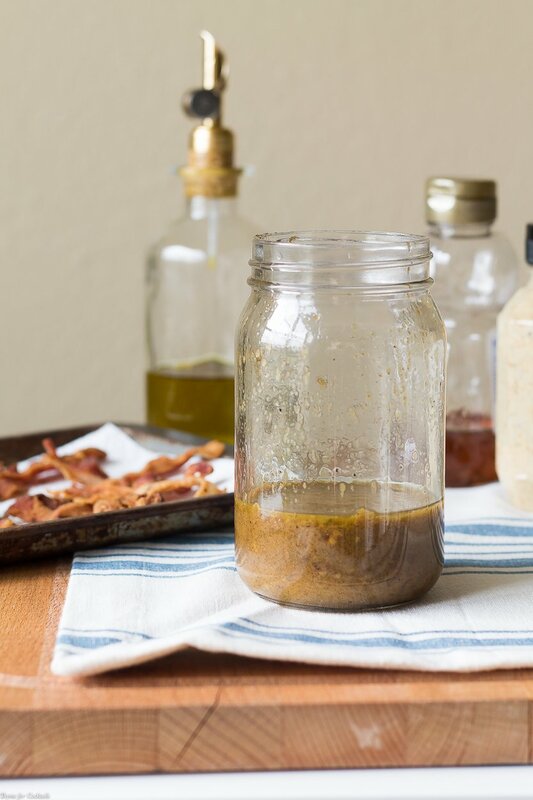 This recipe for Warm Honey Mustard Bacon Vinaigrette came about simply because I had made bacon and the drippings looked so damn appealing. Besides warm dressings are just too yummy! Shallots, local Ohio honey, and a really good stone grain mustard make this recipe hard to resist. We like spice so I grated a little fresh jalapeño into the mix. Keep the vinegar light, white wine or a champagne vinegar is a good choice. Don’t forget plenty of fresh cracked black pepper too. Drizzle this Warm Honey Mustard Bacon Vinaigrette over a fresh brussels sprouts salad for a festive holiday side dish. It would be really tasty tossed with roasted vegetables like sweet potatoes, squash, or pumpkin. Don’t be afraid to add a splash to your leftover ham or turkey sandwich the day after either. 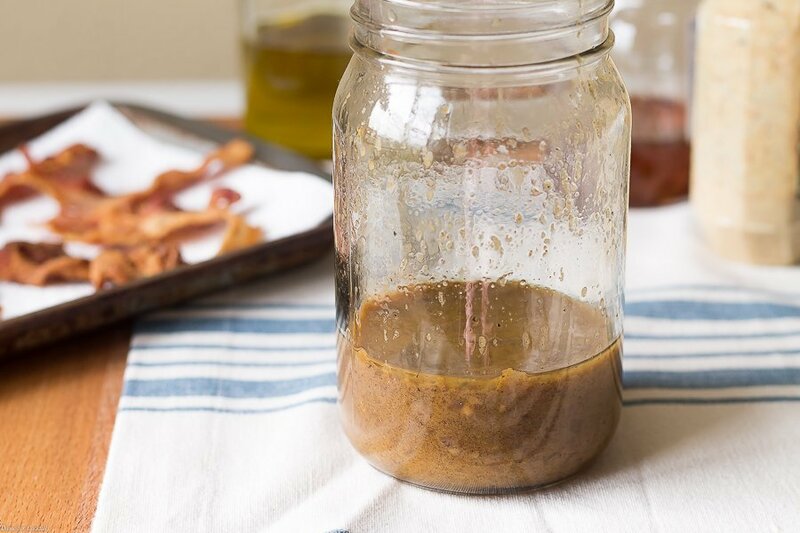 Vinaigrette will solidify in the fridge, so be sure to gently warm on the stove or in short increments in the microwave before using. Heat a medium skillet over medium high heat. Add bacon and cook until crispy, 4-5 minutes. Set aside on a paper towel lined plate. Reserve 3 tablespoons bacon drippings in skillet, drain off excess. Add shallot and garlic to skillet, sauté 1-2 minutes. Grate in desired amount of jalapeño, cook 1 more minute. Stir in mustard, honey, and desired amount of vinegar. Adjust vinegar depending on desired tanginess. Remove from heat and whisk oil into skillet. Serve warm. Store leftovers in an airtight container in the refrigerator for up to two weeks. Reheat gently on the stove or in short increments in the microwave.